A sturdy, long-lived breed, the Clun Forest is known for its hardiness and ability to adapt well to very different environments. That strong constitution has probably been aided by the “no-show” rule adopted early in the history of the NACFA. While the rule was not intended to protect the breed from common, easily transmitted diseases, that has probably been, to some degree, an effect: most Cluns stay on the farm and are not exposed to the numerous diseases to which show sheep can be exposed. While most Clun breeders, respectful of the Clun’s innate ability to take care of herself and her lambs, don’t “fuss” unduly over their animals, breeders are proactive in connection with the health of their flocks. 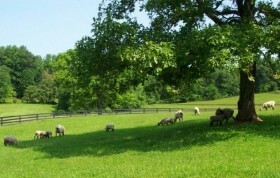 Several Clun breeders, for example, were among the first in North America to become concerned about Ovine Progressive Pneumonia. Those breeders were founding members of the OPP Concerned Sheep Breeders Society, and the NACFA was one of the first breed organizations to promote on-farm testing to eradicate this insidious disease. We continue to encourage membership and OPP flock testing. In recent years, much attention has been paid to Scrapie, and the U.S. government now seems serious about eliminating this disease. Because the disease occurs in Suffolks and Hampshires, and Cluns are also a dark faced breed, we are often asked about Scrapie. 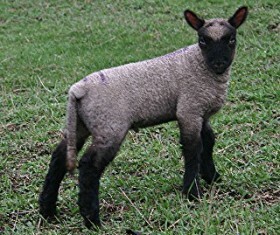 Scrapie, however, is not a problem in this breed; as far as we have been able to determine, there has not been a confirmed case of Scrapie in a Clun Forest sheep. Nonetheless, because of the widespread concern about the disease, many of our breeders’ flocks have been enrolled in the Voluntary Scrapie Flock Certification Program. That program is currently undergoing some changes. For up-to-date information, check out the APHIS website. Canadians may wish to check the Canadian Sheep Federation website. In an area as vast and varied as North America, health problems and concerns vary, too. We urge everyone thinking about purchasing sheep to ask the individual breeder about health issues in that particular area and about the breeder’s on-going flock health program.